Annual shoplifting loss is estimated at 13 billions dollars in the US. More and more retailers have invested in shoplifting prevention and security tagging systems and they often tag themselves valuable merchandise with removable security tags. They can also use deactivable security labels. But retailers are encouraging products manufacturers to integrate security tagging into their products. The most efficient and cost effective way to implement security tagging is to apply security labels during the packaging manufacturing stage. At Netpak, security tags are applied inline, right before folding and gluing processes. 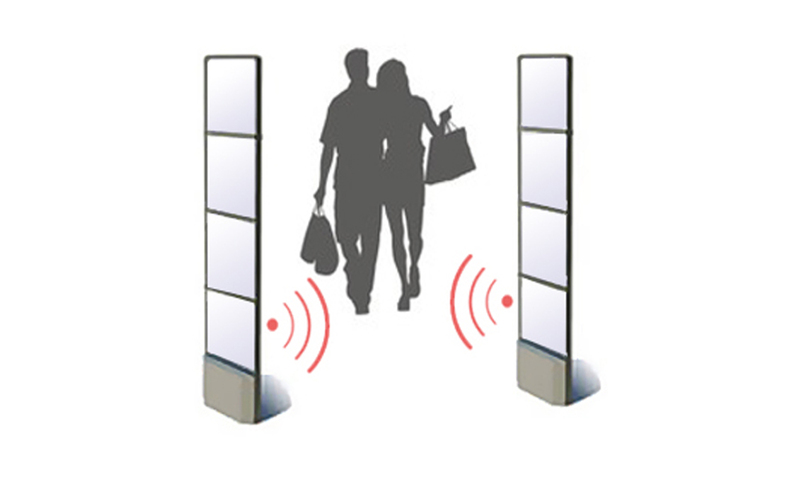 This allows a very accurate positioning of the tag for easy handling at the retail store for deactivation. Netpak is working closely with tags manufacturers for optimal handling and positioning. Netpak proposes RF 8.2 MHz solutions that work with Checkpoint, Kentec, Sentech and any other systems using this frenquecy. We aslo provide our customers with solutions compatible with all Acousto Magnetic (AM) 58KHz like Sensormatic, WG and Gateway.